Someday a real rain will come and wash all this scum off the streets. An opaque plume of sewer steam rises, slowly, before being dispersed by the emergence of a yellow taxi cab. Dan Perri's neon infused title designs are revealed on the re-formed mist, each credit appearing only as long as necessary before the next is displayed. Age 26, lean, hard, the consummate loner. On the surface he appears good-looking, even handsome; he has a quiet steady look and a disarming smile which flashes from nowhere, lighting up his whole face. But behind that smile, around his dark eyes, in his gaunt cheeks, one can see the ominous stains caused by a life of private fear, emptiness and loneliness. He seems to have wandered in from a land where it is always cold, a country where the inhabitants seldom speak. The head moves, the expression changes, but the eyes remain ever-fixed, unblinking, piercing empty space. 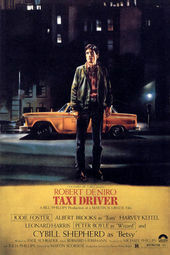 Cut to Bickle's eyes as he peers through the window of his taxi, observing the city streets. The seedy splendor of 1970s New York City flashes by, images of a nightly routine that threatens to become hypnotic. This intra-diegetic gaze provides an insight into Bickle's psyche and his relationship to the city – its inhabitants, its buildings, its allure. All we see through this point of view is a melange of colors and images that remain constant and blurred. Bernard Herrmann's remarkable career – composing classical scores to films such as Citizen Kane, Psycho, North by Northwest, Vertigo – culminated with Taxi Driver. His final opus oscillates between two contrasting parts, each with their own rhythm: one, a foreboding crescendo of horns, the other, the romantic languor of a saxophone. The binary opposition within the score serves as a counterpoint to the visuals, offsetting Bickle's roaming disdain for the city streets. The saxophone medley in Herrmann's "Main Theme" is later repeated when Bickle first encounters Betsy. The accompanying monologue is his reverie, "She appeared like an angel. Out of this filthy mass, she is alone. They... cannot... touch... her..." The mood evoked is something pure, almost celestial, and is ultimately associated with a fleeting feeling of hope in the city he abhors. 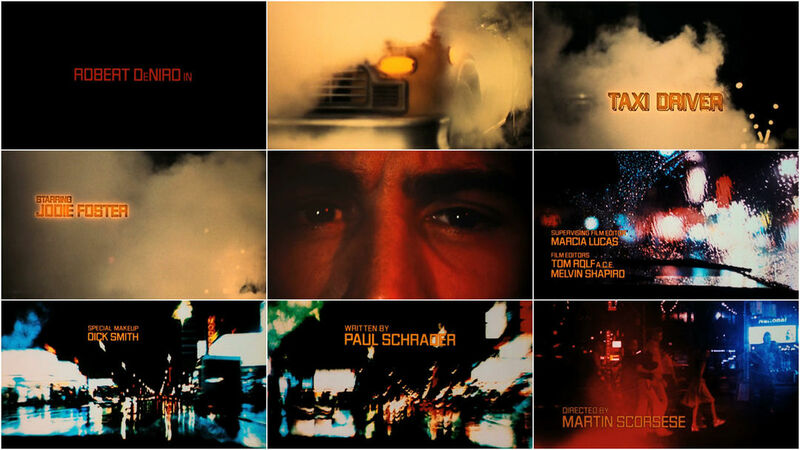 The title sequence for Taxi Driver provides a window into Travis Bickle and his world. It remains unclear whether he is savior or villain, a man with a clear conscience or an individual driven by rage and anguish.